If you have not yet settled on what you’ll prepare for Thanksgiving, there is still plenty of time, whether you want a traditional feast or something different. 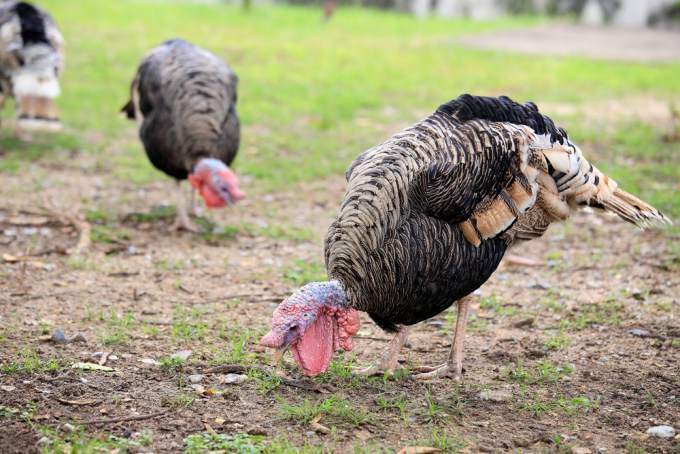 Sebastopol’s Victorian Farmstead is taking orders for heritage breed turkeys and the familiar broad-breasted turkeys, both from BN Ranch. “BN” stands for Bill Niman, the well-known rancher who sold his meat company a number of years ago and is now raising turkeys and beef at his farm in Bolinas. The turkeys roam the pastures, foraging as they like to do, exploring, soaking up sun and roosting in trees. Their diet is supplemented with a special made-to-order vegetarian feed that contains no GMOs and no corn. They are sold fresh, not frozen.